The 6th cpc. fitment tables are applicable only in normal replacement cases even according to the OM dt 30-8-2008 forwarding the tables and in upgraded cases pay has to be arrived separately by reckoning upgraded grade pay.. But the revised pension is being fixed in upgraded cases also taking notional pay as per those tables.There wiil be increase in revised pension if notional pay is arrived by taking higher grade pay.. This has to be seen by the concerned pensioners. i am tired by writing and contactcting all pension dealing offices like cpao grievence cell and ministry concerned staff but my doubt stands uncleared as yet as follows. i am PSU ABSORBE IN 1984 while working for cea in 1984 . my 10 months average was 880 in 650-1200 pay band and i fully commuted my pension and got about 27000 rs plus mmy designation was extra asst. director. Answer to V.J.REDDY ; I have searched from net that as per your retirement last pay of Rs.880/- in scale of 650-1200 in the 3rd CPC it was at the 4th CPC as basic pay Rs.880+D.A.& A.D.A 1314.40+I.R.158+20% of basic pay of Rs.176 total 2528.40 fixed in 4th CPC at Rs.2,600/- in 5th CPC 7900, In 6th CPC 18,900 (including GP 4200) and 7th CPC as Rs.49000/- 50% of basic pay of Rs.24,500/- as revised notional matrix level 6 method of pension from 1/1/2016. 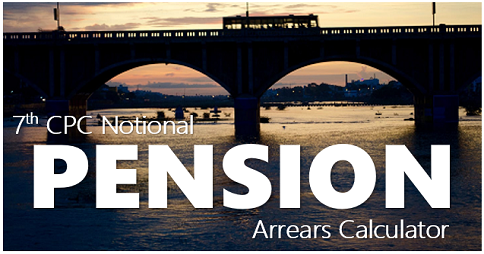 If you are attained the age from 80 the percentage of basic pension will be added as additional pension with D.R. respectively. 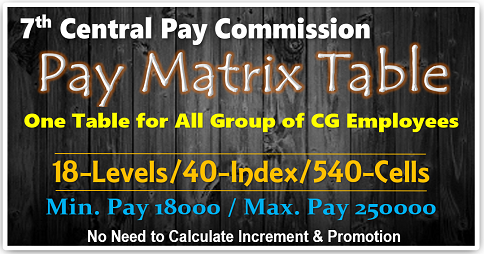 5th cpc- scale 12000-375-16500. Basic pay on 01.09.2007 was Rs. 16500/-. I retired from Damodar Valley Corporation followed by 7th CPC. Our order just issued it is well known to you. 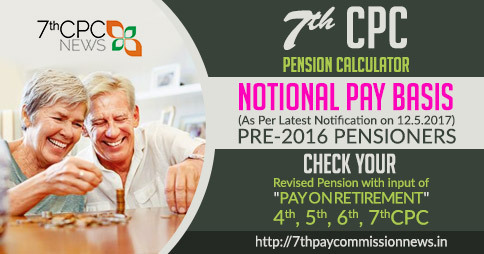 Kindly intimate my new pension as per 7th CPC based on two formula. Answer to UDAYASANKER ; From 1/1/2016 revised Pension as Rs.34,400/- plus D.R. as applicable rates. SirBasic pay + Grade pay X 1.86 + grade pay otherwise 40% differences of 5th cpc fixation always arise and becomes incorrect method will challenge in Law of court. The information contained in this respect for the pensioner is quite comprehensive. I would like to know how long it will take time in settling the matter. Notional pay 0n 1/1/96 = LPD x( 1+ 1.48+ 0.1 +0.4) + 100 0r LPD x2.98 +Rs. 100 (for LPD 3500. However, the 5CPC talked about things like “one increment in the new scale of pay for every 5 increments in the pre 5CPC scale of pay” or increment(s) depending upon ‘bunching’ in different stages of the revised scale of pay. Clclarification are neede on this score. 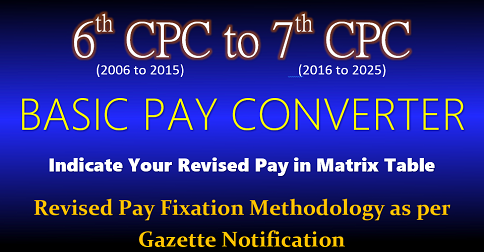 Step 2 under (i) talks of a multiplier 1.86 in calculating notional pay in 6th CPC. This is incorrect. The multiplier should be 2.26 that includes the fitment of 40%. However even this is not the fitment formula used to fix pay in the 6th CPC implementation. The pay was fixed as per the fitment tables for the purpose given by the M/Finance. Recall that the Govt. ordered that this fitment table should be used to arrive at the revised pension as per the 6th CPC. 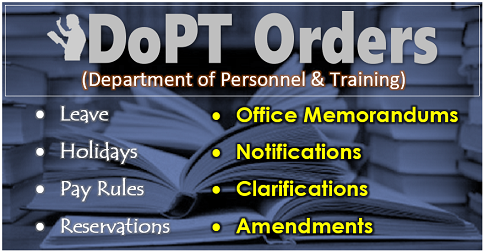 (DP&PW orders of 28/1/2013 and the table attached to it.) Using any other method for getting at the notional pay will be wrong. 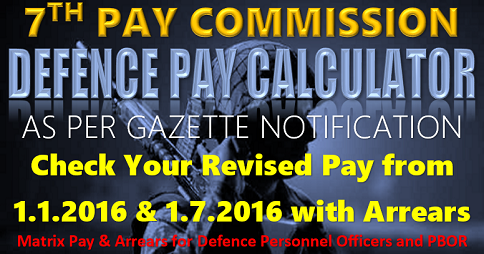 to arrive at the figure which can be used to arrive at the appropriate stage of the 5th CPC scale of pay to get the notional pay on2.98 1/1/96. 1. Step 2 under (i) makes use of the multiplier 1.86. It misses the fitment benefit of 40%. The multiplier here should be 2.26 and not 1.86. Instead of doing this one should straight away make use of the fitment table to get at the the 6th CPC notional pay, as was done for the existing employees. This is supposed to be the method for getting notional pay as per the 12/5/17 orders. 2. Step 3 under (i): The use of 2.57 may not be desirable as the 7th CPC has used a factor like 2.72 for some Pay Band(s). It would therefore be correct to see the no. 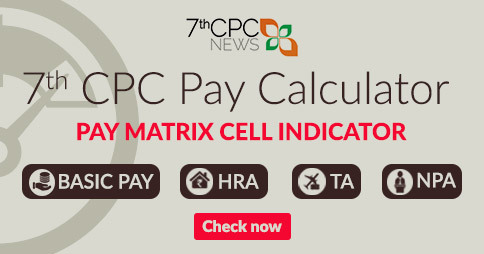 of increments implied by the 6th CPC notional pay in the 6th CPC scale of pay and use this number to arrive at the basic pay in the relevant column of the Pay matrix. 3. Section (ii) is for 5th CPC scales and not 4th CPC as mentioned.